Avid readers of Bedmodisco.com may remember a mix we posted a month or two ago called “Wrongspeed 01”. It was by our own Sell By Dave and featured records deliberately played at the wrong speed, with some 12s pitched down to minus 20 thanks to the wonder of Vestax Ultrapitch. We decided to make turn “Wrongspeed” into a semi-regular series, and asked a number of our favourite Bristol-based DJs to give us their own take on the “wrongspeed” concept. We’re delighted to present the first interpretation from someone outside the Bedmo Disco camp, and even more delighted that it’s an absolute doozy. “Wrongspeed 02” comes from Vast & Bulbous – aka DJ/producer/tall man about town Tom Govan – and we think it’s rather fine. For those who’ve not come across V&B before, Tom has an intriguingly deep and varied record collection. He’s just as likely to turn up to a gig and play vintage synth-wave, Balaerica or Afro-electro jams as he is druggy disco, house, Italo or EBM. He’s been working hard in the studio, too, and his productions just get better and better. 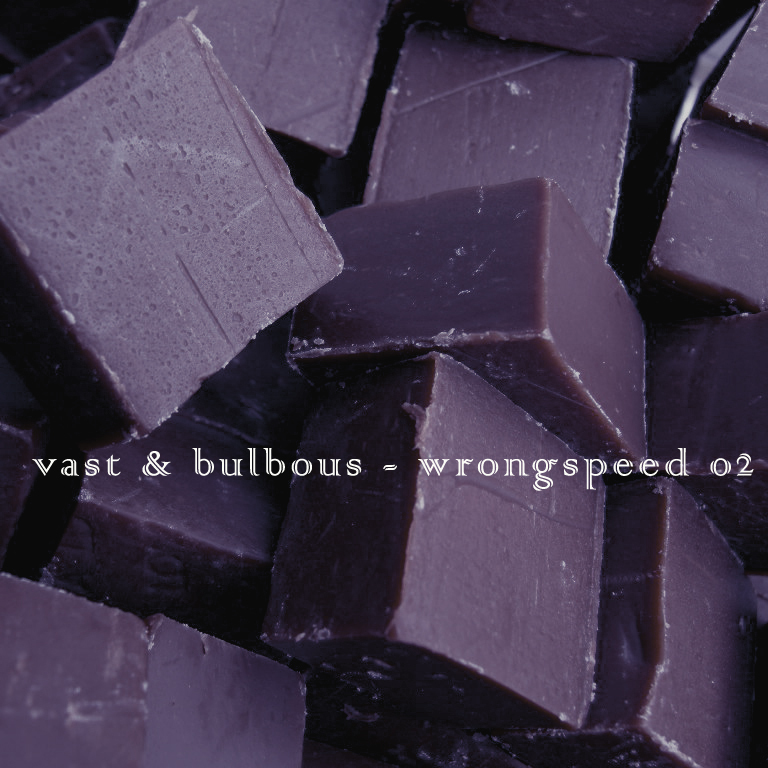 For “Wrongspeed 02“, he’s delivered a mix that veers between blissful oddeness and druggy curiosity, with plenty of electronic obscurities in between. There’s slowed down deep house, smack industrial and even a dash of Ryuichi Sakamoto put through the blender. The resultant mix is entertaining, inspiring and, of course, more than a little bit wrong. So there you go. If that’s not enticed you to click on the following link, do it anyway – you won’t be disappointed (seriously – Tom is an excellent DJ with his own unique flow and style). Incidentally, you can catch Tom playing back to back with our own Sell By Dave at the Idle Hands Easter After Hours at TB2, Bristol, on Easter Sunday (well, technically Easter Monday morning) – they’ll be holding down the second room from 3.30am until the close. Expect some wrongspeed selections amongst the late night grooves.